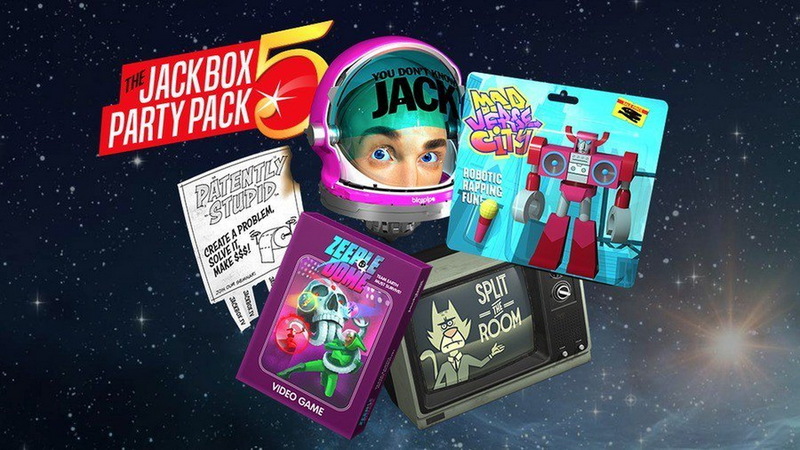 The Jackbox Party Pack 5 is a casual party game made and published by Jackbox Games, Inc. It’s the biggest Party Pack yet, including the return of the classic pop culture trivia mash-up YOU DON’T KNOW JACK: Full Stream; the game of hilarious hypotheticals Split the Room; the lyric-writing, robot rap battle Mad Verse City; the inventive drawing game Patently Stupid; and the outer space fling-fest Zeeple Dome. 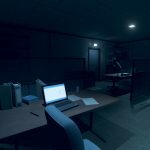 The Jackbox Party Pack 5 is one of the most adventurous party game collections yet, concocting interesting gameplay ideas and challenging its players to put their best self forward in front of friends and online audiences. Thanks to the randomness ingrained with the other games that ensues no two sessions are alike. Solo partiers won’t find much to do here (playing You Don’t Know Jack against A.I. is a heartbreaking thought experiment), but scrounge up a group and you’re good to go. If you're looking for something to do with a group over the upcoming holidays, there's plenty in Party Pack 5 to keep a whole bunch of people engaged and laughing for hours.